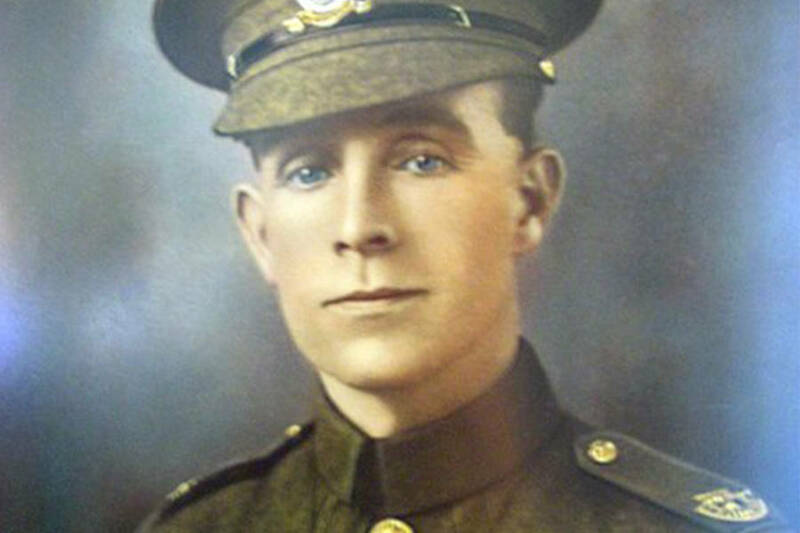 Henry Tandey had a wounded Hitler in his crosshairs during World War I. Had he taken one shot, he could have saved millions. Instead, he spared him. Wikimedia CommonsHenry Tandey in his military uniform. On September 28, 1918, one of the greatest mysteries of World War I is said to have taken place. 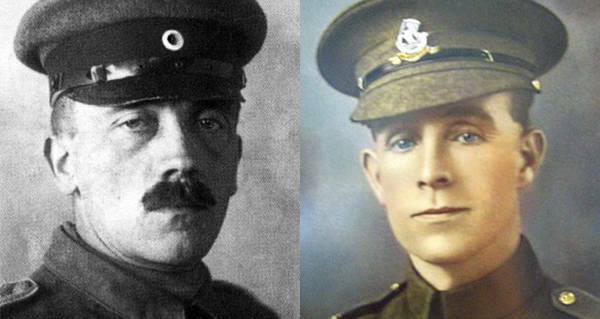 During the fifth battle of Ypres, near the French village of Marcoing, 27-year-old Henry Tandey earned the Victoria Cross, which along with other medals, made him the highest decorated private of World War I. But during the battle, a wounded and defenseless German soldier stumbled into Tandey’s line of fire. Though he had his gun pointed right at him, Tandey decided not to kill him. This one act of compassion would forever overshadow Tandey’s military record. British Prime Minister Neville Chamberlain would be the first to hear about this story from the German that Private Tandey had spared. His name was Adolf Hitler. In 1938, Chamberlain arrived in Germany to secure a peace pact with Hitler. Chamberlain’s cordial visit included a stay at Hitler’s Bavarian mountain retreat called the Berghof, where he came across a painting depicting Allied soldiers in the Battle of the Menin Road Ridge in 1914. No doubt Chamberlain thought the subject an unusual choice for Hitler’s study, considering the humiliation Germany felt from their defeat in the Great War. Hitler pointed to a British soldier in the foreground carrying a wounded comrade to safety. “This man came so close to killing me that I thought I should never see Germany again,” the dictator allegedly told Chamberlain. 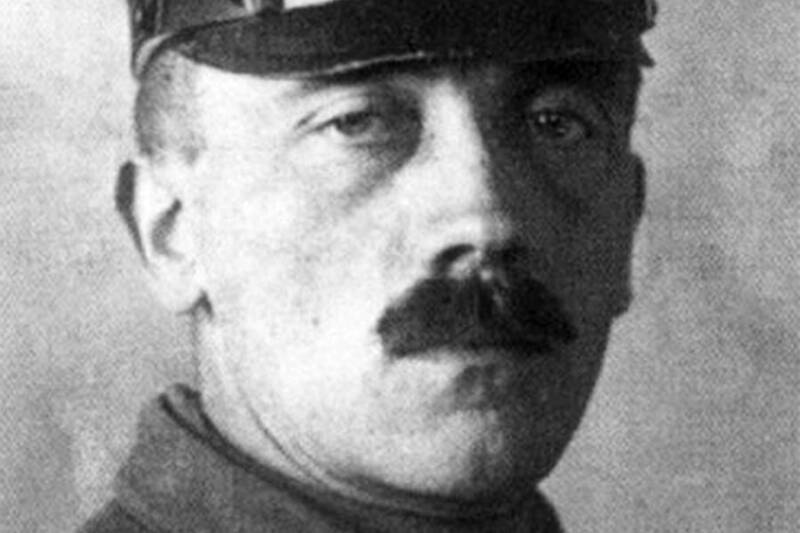 Adolf Hitler in his World War I military uniform. Hitler claimed he learned of Henry Tandey’s identity after seeing this painting. The soldiers in the painting belong to Tandey’s regiment, Green Howards, who commissioned the original in 1923 from war painter Fortunino Matania. The story itself does have factual evidence that supports it. A letter in the regiment’s museum archives proves the Fuhrer had at least viewed the painting. Written by Hitler’s adjutant, Capt Fritz Weidemann, it seems to confirm a personal connection between Tandey’s regiment and the dictator. Despite this connection, Tandey’s biographer, Dr. David Johnson, has cast doubt over the authenticity of the alleged encounter between Tandey and Hitler. He makes the point that unlike the painting, Tandey would have been covered in mud and blood making his likeness difficult to remember. There is also a discrepancy in dates. The encounter allegedly happened on Sept. 28, 1918. Papers from the Bavarian State Archive show that Hitler was on leave between Sept. 25 and Sept. 27. Furthermore, Hitler’s regiment was 50 miles away from the supposed meeting place in Marcoing. Was it possible that Hitler was confused? Or had he fabricated it? Hitler certainly wasn’t beyond a bit of myth-making. This alleged encounter with Tandey became part of a narrative that he was some sort of Chosen One to lead the German people. In Mein Kampf, he claimed that a divine force was watching over him when during World War I a mysterious voice from above told him to leave a trench, which was hit by a grenade just moments later killing his comrades. Hitler’s mystical experiences notwithstanding, there are also problems in corroborating the account from Tandey’s end. Allegedly Chamberlain phoned Tandey to discuss the event. However, Henry Tandey wasn’t home, and his nephew answered instead. But British Telecom records show that Tandey did not have a telephone. Moreover, Chamberlain kept detailed papers, diary entries and letters. But nowhere does he mention the Tandey affair. 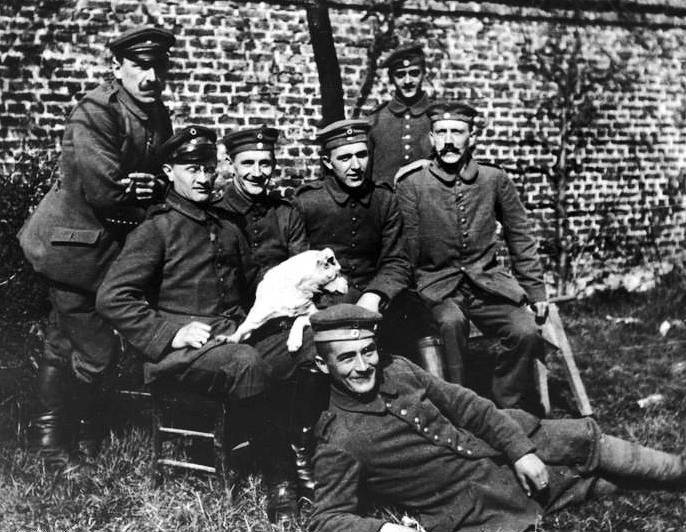 Wikimedia commonsAdolf Hitler (far right) in World War I. Despite this, Tandey heard the story from an officer who had, in turn, heard the story from Chamberlain. Tandey admitted he had spared soldiers on September 28th, but could not confirm if Hitler was one of them. This is a quote some have taken as confirmation of his encounter with Hitler. However, this was an emotional reaction in the wake of the Luftwaffe’s bombing of his hometown of Coventry. It can never be confirmed unequivocally that this encounter never took place. But perhaps Tandey should be remembered for what he did do that day in September 1918. It did after all earn him a Victoria Cross. While under heavy MG fire, Tandey single-handedly repaired a plank bridge allowing his regiment to escape across. Later that day he led a bayonet charge against a larger German force, which resulted in 37 being captured by his comrades. Henry Tandey tried in vain to enlist in the Second World War, perhaps to get another chance encounter with Hitler. He died in 1978 and is buried in the place where this encounter allegedly to place – the French village of Marcoing. After reading about Henry Tandey, the man who supposedly had the opportunity to kill Adolf Hitler during World War I, check out another important man in Hitler’s history, August Landmesser. Then, take a look the only known recording of Hitler speaking privately.